An anxiety disorder is likely to have a harmful effect on your personal life as well as your work life. For most people who suffer from anxiety-related problems, it does more harm than good to avoid getting treatment. Without some form of treatment, anxiety can dictate how you live your life, preventing you from trying new things and living a healthy lifestyle. Anxiety and stress can increase your chances of having a panic attack. Besides that, they can also harm your physical health and make you more likely to react to others with impatience or annoyance. It’s important for your body and for your relationships that you do what you can to eliminate unnecessary stress from your life. Find out how you can do so by making a few simple changes. What makes a panic attack so frightening? For the person who is experiencing it, a panic attack can seem indistinguishable from a heart attack. It can come seemingly from nowhere and seriously impair the affected person from concentrating on what he or she is doing. 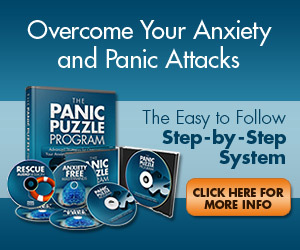 Overcoming panic disorder can be tricky, but it is possible for some people.